LoveBeginsAt​ is by far, the most mature approach to online dating you will find online as it caters exclusively to singles over 40. It recognizes that you may not want to go clubbing anymore and appreciates the difference between first-time love, single parents, divorced singles and widowed users. In addition to the very best features you would find on most sites, you will discover some innovative tools, including a dating map for great date locations and plenty of offline singles events tailored to your interests. For a start, you will have absolutely no trouble getting in touch with someone special. There are multiple options available to you, including private messaging, instant chat and video chat. Meanwhile, there are chat rooms too, which provide a great opportunity not only to get to know individual users better, but to become part of what is something of a community. In fact, the communal feel is a factor which characterizes LoveBeginsAt. There are numerous real-life events designed to take you away from the computer and meet new people. The events are tailored to a 40 plus crowd, including wine tasting and cuisine evenings. And if you are looking for an interesting new date idea, check out the date map of major cities, which provides plenty of fresh ideas. Meanwhile, the online blog gives you plenty of advice from dating experts and other relevant professionals, even a style consultant so that you always look your very best. The sign up process is quick and easy. All you need to do is to answer a few simple questions in order to start browsing and create your own profile. You will be asked some very basic details, starting with your gender, date of birth and location. Next, you will be prompted to supply an e-mail address and password. Finally, you will need to click on the e-mail link in order to verify your account. And that is pretty much it. You are then able to populate your profile with pictures and basic information to give other users a better idea of who you are. 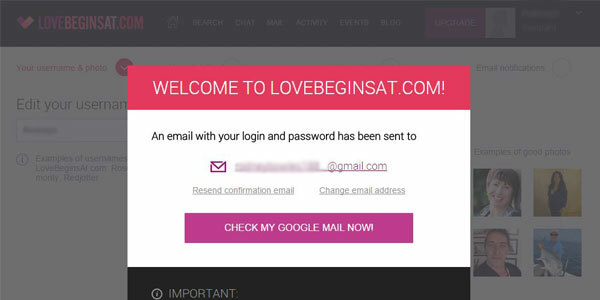 LoveBeginsAt.com takes several important steps to ensure your online security. For a start, you will be required to verify your account via e-mail. Inappropriate content including pictures is not permitted, which further eliminates many of the suspect users out there. Importantly, there is also a policy not to share information with third parties. And finally, you will find a page of useful safety tips which should help you to keep safe while having fun. The pricing structure at LoveBeginsAt is straightforward. You can choose to become a free member, which ensures a certain level of functionality, allowing you to create a profile and search for other users. However, your communication tools will be limited and so to get the best the site has to offer you will need to become a paid member. The cost is simply $29.99 per month. You can sign up for multi-month packages, but the cost remains the same. However, you do have the option of paying for various add-ons. Free members can purchase the “Mingle More" tool, which provides temporary private mail and instant chat for 30 days. Meanwhile, paid members can pay for the “Highlight Your Profile" feature, which will see your profile receive a boost in search results for a limited period of time. There is nothing complex about using LoveBeginAt.com. The functionality is incredibly easy, while the interface itself is crisp with no room for clutter. The result is a site which is a pleasure to use. Everything you need is more or less a click away from your personal dashboard. A set of tabs running along the top of the page provides direct access to the search function, chat features, your inbox, activity list, local events, the online blog and your account settings. Conveniently, you can also see who viewed your profile and create a favorites list in order to keep track of who catches your eye. And if you find yourself away from your computer, there is a great LoveBeginsAt app which keeps you in touch with all the action wherever you may be. Searching for a match is also as simple as it comes. 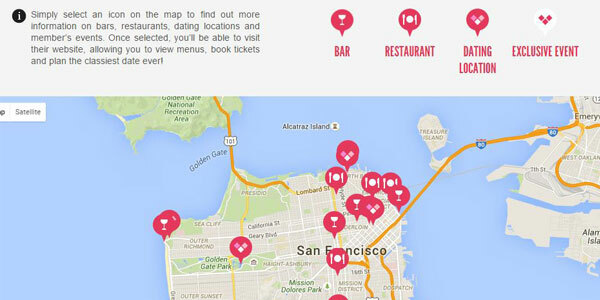 Automatic matches will be suggested, based largely on your geographic location. You can of course conduct a search yourself. The basic search allows you to look for someone based on broad categories such as age and location. It is a good way to see what the potential is. However, the advanced search gives you the chance to pinpoint more accurately what you want. You can search via all types of criteria, including religion, physical attributes and whether you have children or not. There are plenty of mature daters who prefer to use a general dating site with an extensive user base. These users will find few better options than the massively popular Match.com review. However, if you want a site dedicated to over 40s dating, then this LoveBeginsAt review can only conclude that this is the best option. It provides a no-frills approach while also tailoring the site to the very different needs of every individual. There are some exciting features such as the wealth of offline events and the entire production is extremely easy to use. The Top 10 Best Dating Sites staff are your guides to the world of online dating websites and services. The team navigates the world of online dating and share their findings to help readers find online dating success. Our team includes dating experts James Preece, Laurel House, Ken Solin, Nida Sea, Vanae Tran, Carmelia Ray and many more talented writers. Top 10 Best Dating Sites staff have extensive first-hand experience in: signing up for and using various online dating sites; researching the ever-growing online dating market; and copywriting and editing for various online and print publications about online dating. We work hard to offer you valuable and reliable information about all of the products and services we review. In order to provide you with this free service, we use links on our site that provide us with commissions for referring you to the seller's site. We guarantee that this does not influence the material we present, but may influence the positioning on our site, and only supports our efforts to offer you the best and most relevant information possible. Copyright © 2009 - 2018 Natural Intelligence Ltd. All Rights Reserved.